In any business reports are very important. Reports will provide clear picture to the management. Management uses the reports to track progress towards its various goals, control expenditure and increase revenue. Reports help to predict trends and this is advantageous for increasing profits. Salesforce reports have been a regular source of consternation among sales reps for as long as the customer relationship management software has been in use. Thousands of sales teams who utilize the software to track their sales opportunities and activities have ranted about the numerous difficulties in producing reports from their sales data. 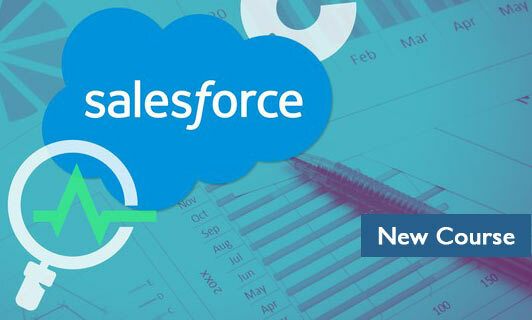 This course will explain how Salesforce Reports creation is very easy and we can create reports in very less time. In Salesforce we can easily generate reports and Dashboards in different style. And can create them in very short time and also we can schedule the reports. Salesforce provides a powerful suit of analytic tools to help you organize, view and analyze your data. Student should have basic knowledge of Salesforce Platform. This course is for Salesforce Admin, Developers or End User who want to learn Salesforce Analytics.